Is this the Phantom 5 with a new camera? Now that DJI has gotten the Mavic Air drone capturing our attention, they can look forward to the next generation Phantom 5. And if the rumors are true, it’s going to have a better, 5K camera and longer flight time. Longer Flight Times – The current Phantom 4 drone can fly up to 30 minutes before returning home. But thanks to recent battery improvements that have breached the 30 minute barrier, the Phantom 5 is expected to get a another five minutes in the air, totaling 35. 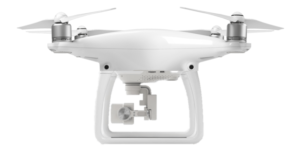 Longer Range – Thought the FAA requires drones be kept within sight of the pilot, the Phantom 4 drone has a range of 7000 meters (4.35 miles). The Phantom 5 will push the range to 8000 and perhaps even 10,000 meters. Not that it will do you much good in the US. Better Camera. This is where it gets interesting. 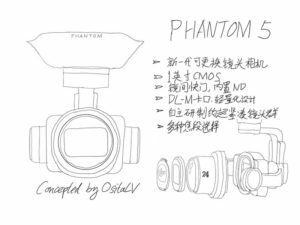 Not only will the Phantom 5 get an improved camera, but it will have interchangeable lenses to boot. 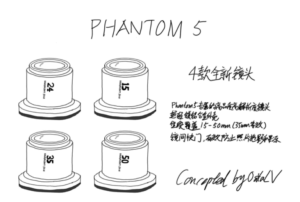 According to HalfChrome, the Phantom 5 could likely borrow from the Inspire 2 with a 5K capable micr0 four-thirds camera with interchangeable lenses and upgraded video processing. This is largely thanks to the investment that DJI made in Hasselblad early last year. That investment looks to continue to yield dividends, giving the Phantom 5 interchangeable lenses and a better image sensor. Moreover, since the Phantom 4 has a 1/2.3″ sensor, it’s possible they could go the other way and surprise us by putting the 1″ Mavic Pro sensor in their Phantom 5 camera. But I’m not holding my breath. Interchangeable lenses would also give DJI an additional revenue stream as users invest in 15mm, 24mm, 35mm and 50mm options. 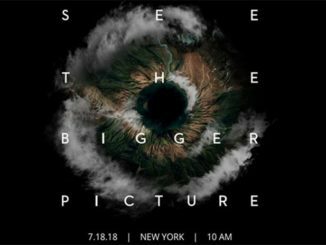 I’m guessing that the camera will come with a stock 24mm kit lens, but I’m doubtful of a wider 15mm lens simply because the field of view would be so wide, it would clearly show the rotor booms and landing gear of the drone itself, which would render any footage useless cinematically. Unless DJI makes the landing gear of the Phantom 5 retractable, and that’s highly doubtful as it would require a serious redesign of the Phantom’s iconic form factor. Improved sensors, and more of them. 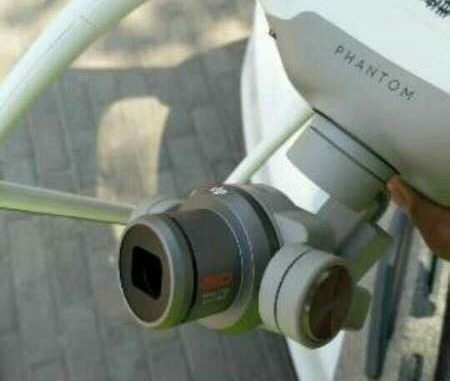 Since the Phantom 4 was launched, DJI has made serious strides in positioning sensors that would give the next generation Phantom 5 360 degree awareness and avoidance of obstacles in it’s flight path. So look for more of them, including front, rear, side, top and bottom sensor cameras to keep track of the world around it. Gesture control. This is more of a firmware fix than anything else, but with updates in DJI’s flight system, the Phantom 5 will likely supposed the same gesture control we first saw in the DJI Spark. It has since been added to the Mavic Pro and Mavic Air, so it makes sense moving forward that the Phantom 5 will also support it. Weather Proofing. DJI has made their higher end Matrice line weather proof, and there’s a good chance that they will seed that weather proofing down to the Phantom 5, making it able to weather the storm of rain, snow and even a little dust in windy conditions. But if you’re flying in bad weather, I’d say bring it home anyway, and don’t put that proofing to the test. And one more. According to the HalfChrome team, flight speeds have increased steadily as DJI continues to refine the state of the art. The current DJI Mavic and Mavic air can approach speeds of 40 miles and hour, and the Phantom 4 can reach just short of 45 in sport mode. So with improved, more efficient rotors that will make the drone stay aloft longer, it could also squeeze out a few extra MPH in the process. 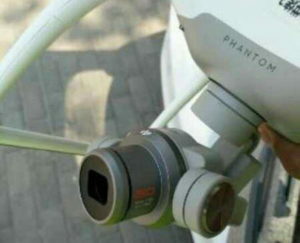 When will we see a Phantom 5 and how much? Who knows. But NAB is coming up, and while that’s a nice window, I’m guessing we won’t see it until the Fall. We all are talking about a Phantom 5, but why should DJI continue to develop this series. In my opinion the Mavic family it is much more attractive due its portability. 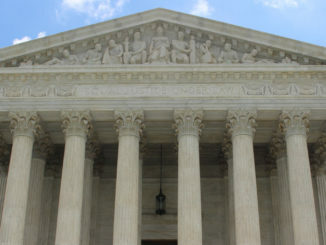 The flight time and features are comparable with the much larger Phantom drones. 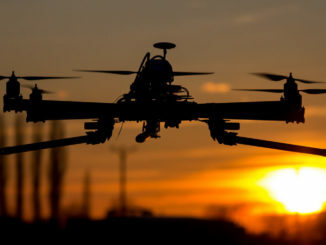 For professional aerial filming they have he Inspire series.